Built due to an awkward exchange of technology between the Free Worlds League and the Word of Blake, the Toyama was designed by Dr. Thaddeus Anable and then given to the Word of Blake through an agreement made by Captain-General Thomas Marik. The Toyama is intended to be a multi-role BattleMech that can operate somewhat independently of supply lines. 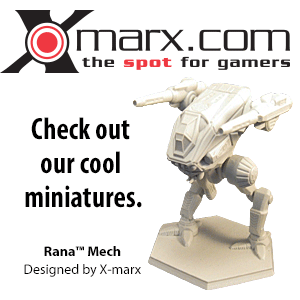 The 'Mech is built on a lightweight Endo Steel chassis which supports a Vlar 300 XL engine. The Toyama has a top speed of 64.8 km/h, making it capable of keeping pace with most heavy 'Mechs. The Toyama has an impressive twelve tons of Durallex Heavy armor. To dissipate heat, the Toyama carries fourteen double heat sinks. The 'Mech also carries a Garret/Guardian Interface Guardian ECM Suite to protect the 'Mech from advanced enemy electronic warfare systems. The Toyama has a Doombud LRM-20 launcher for long range direct and indirect bombardment capabilities. The Toyama also has two Diverse Optics Sunbeam ER Large Lasers and an Imperator Code Red LB-X Autocannon/10, which can fire both standard ammunition and cluster rounds, for long range combat. For close range engagements, the Toyama has three Magna Mk II Medium Lasers. Named for Conrad Toyama, the successor to Jerome Blake as Primus of ComStar, and acknowledged founder of the Blakist religion. TYM-1C's background is unknown due to the exclusion of fluff for this model. Not known where or when the model was introduced, only the era. ↑ 5.0 5.1 5.2 Technical Readout: 3060, pp. 118-119, "Toyama 'Mech Profile"
↑ Record Sheets: 3060 Unabridged , p. 175, "Record Sheet for 1B Variant of the Toyama". ↑ Record Sheets: 3060 Unabridged, p. 176, "Toyama's Advanced Tech version of the Toyama".